Just some stuff about sewing and my kid. 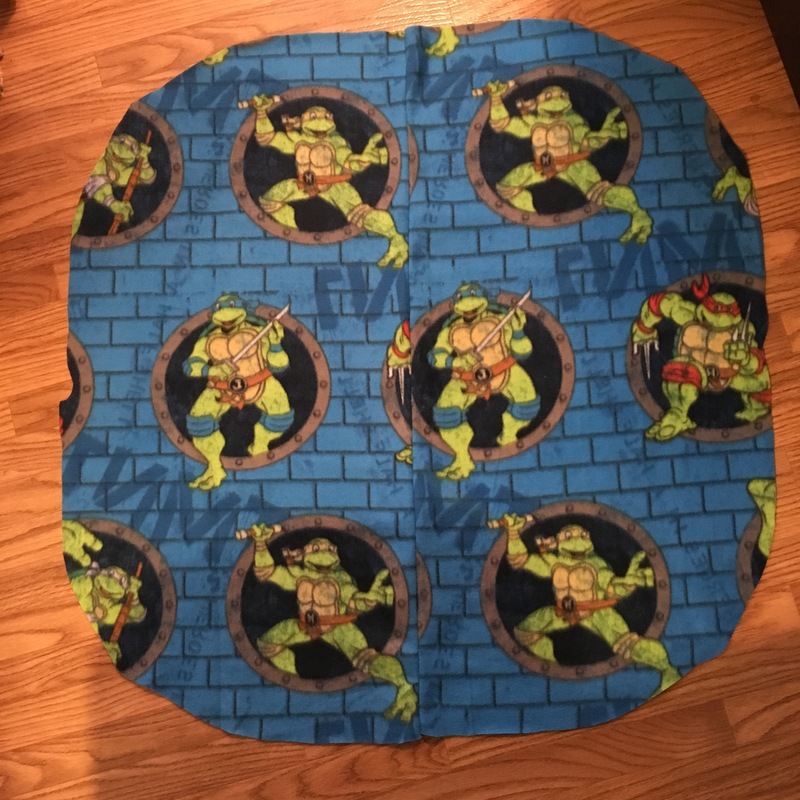 When left to her own devices, my daughter feels that Ninja Turtles fleece is the fabric to rule them all. I tried to steer her toward this cute floral and she gave me a firm, “No, Mama.” So Ninja Turtles it is! She’s the coolest. I used this fabulous poncho tutorial to create it, so I’m only writing a few modifications. Bethany comments that it will fit approximately a 12m-3T child, so I upsized it a little. She wisely recommends measuring from neck to wrist to adjust. Well, my child was sleeping (finally), and I’m no fool, so I estimated and just added a few inches. There are specific instructions and a helpful video to guide you in how to cut the circle from the fleece. 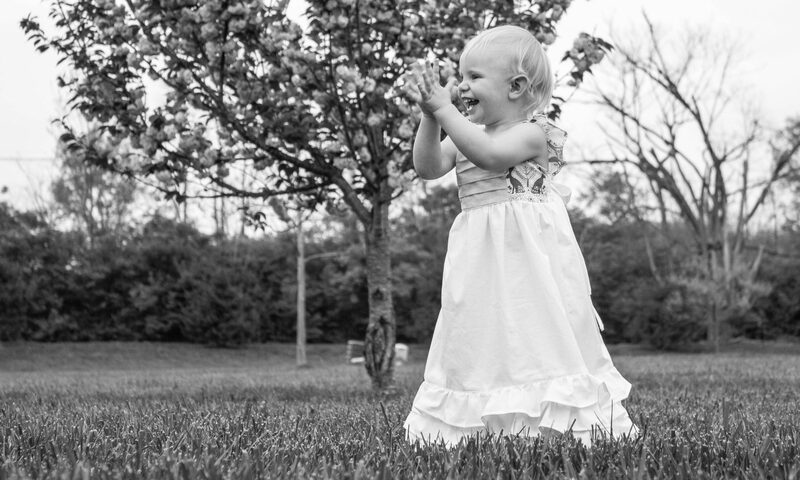 I scoffed at the idea because I make adorable dresses for Ella that are more complex than this all the time. So, I deftly cut my curve out of my triangle…annnd ended up with two strange oblong halves. I do not waste licensed fleece, so I put a seam right in the middle. There’s an overlay, right? For the top layer, I used a scrap piece of a denim printed cotton by Riley Blake from the Lucky Star Collection that was significantly smaller than the suggested size. But that’s okay! See, I live in the South, and there’s this rule that if an article of clothing I make touches my daughter’s skin, it WILL have a ruffle. So I added one to make up a few missing inches. Ella also chose a lavender fabric when we went shopping, so the ruffle can coordinate with Donatello. For the ruffles, I rotary cut 4″ strips and laid them out on the blue overlay until they went around the edges of the overlay fabric about twice, to make sure there was enough fabric to gather into the ruffle. Five width-of-fabric strips worked out well for me. Okay, now you’re going to make one long strip. Lay two strips right sides together and sew the short edges of your strips at a 1/4″ inseam. Press the seams open. Repeat. Finish one long edge of your strip with a serger or zigzag stitch to prevent fraying. I used a serger. Hem the bottom edge of the strip by folding it up 1/4″, pressing, and doing it again. Stitch along the edge. It’s best to use a thread that matches your fabric, but I’m out of lavender so I’m using a denim color to coordinate with my overlay. This is not at all because that’s what happens to be loaded in my machine at the moment…maybe. Make your long strip into a loop by joining the two short ends. 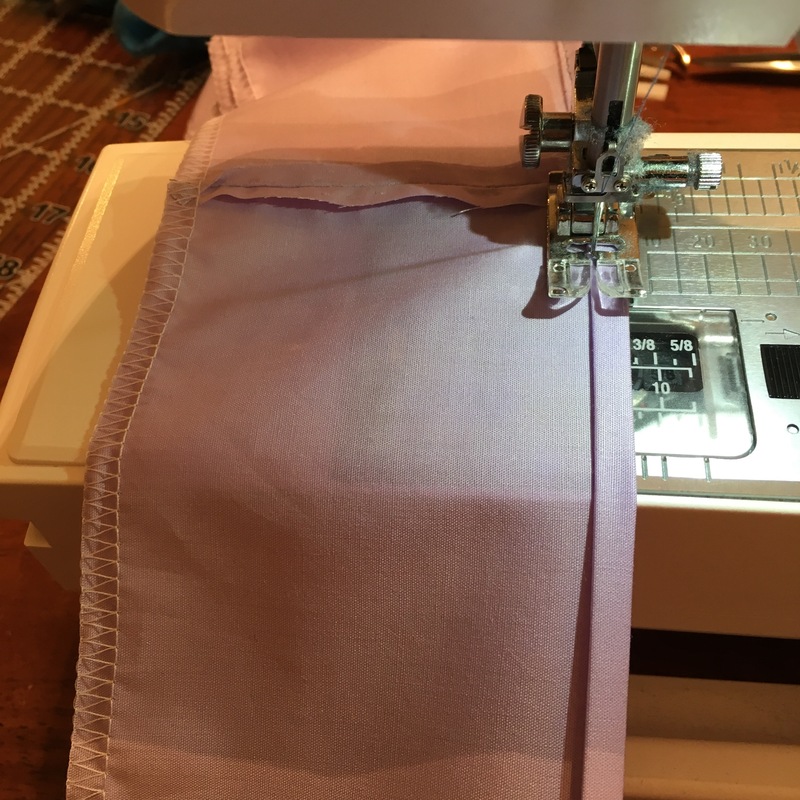 Sew together with a 1/4″ seam and iron seam open. Now it’s time to gather! 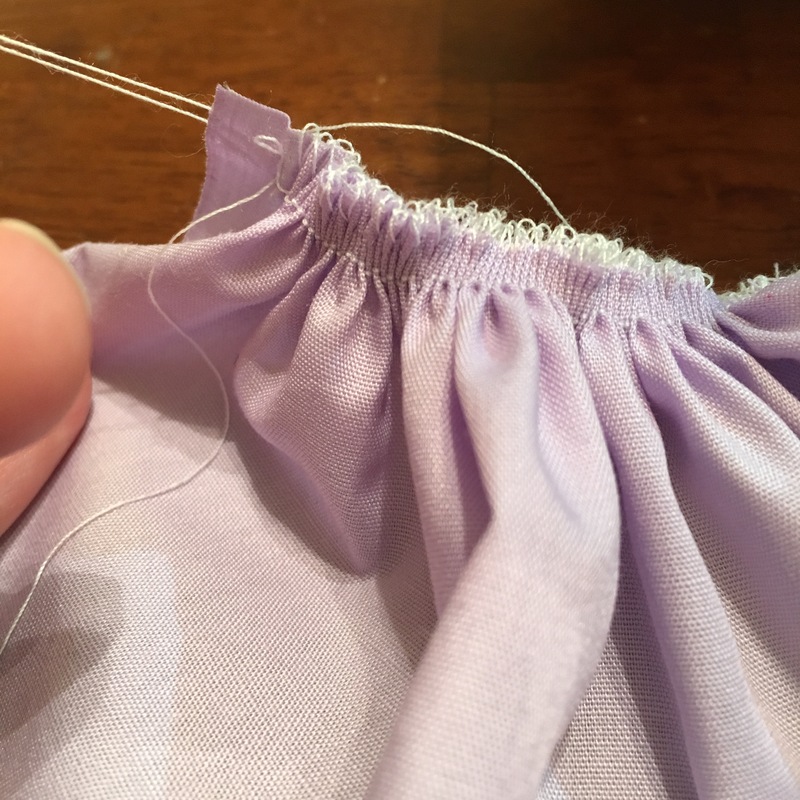 If you’ve serged your edges, gently pull your two straight threads (NOT the loops!) and gather until it’s the same size circle (or oblong shape if you’re me) as your overlay. If you did a zigzag stitch instead, you will now sew one or two rows of gathering stitches. It is wise to work in sections when gathering a piece this long. Here is a GREAT tutorial on gathering! Clip or pin the ruffle to the overlay right sides together matching up raw edges. Sew together, press the ruffles down, and you’ve got your overlay! 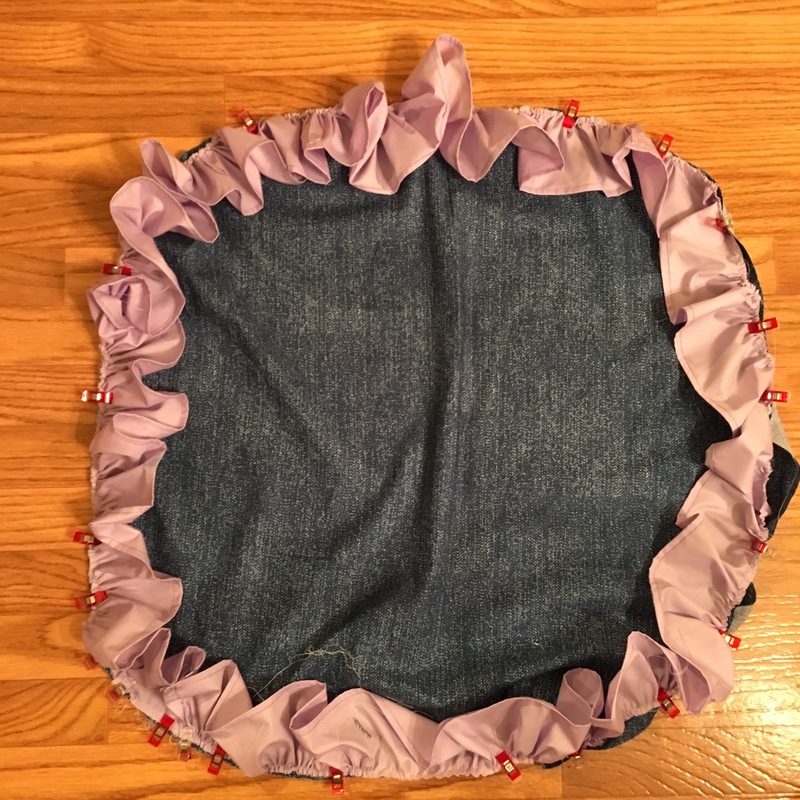 You can skip the hemming step in Bethany’s tutorial because your ruffle has a finished hem. 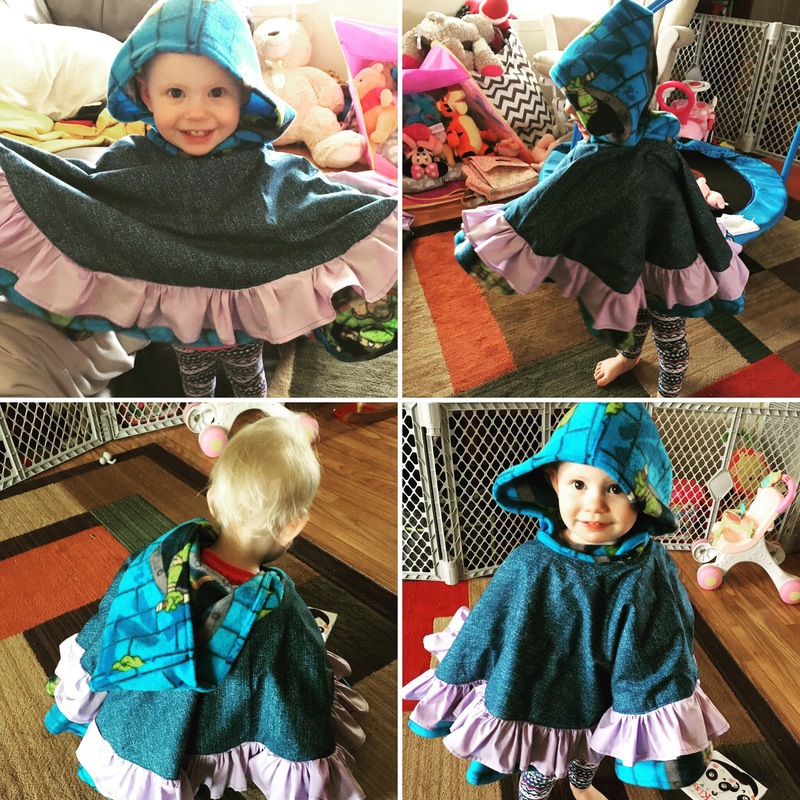 Simply sew along the top of the ruffle when attaching it to the fleece part of the poncho. You don’t really need me for the rest of the tutorial. I followed Bethany and love how it turned out! My only change at the end was to hem the fleece instead of cutting fringe. A ruffle AND fringe may have been over the top. So happy we have this option now. 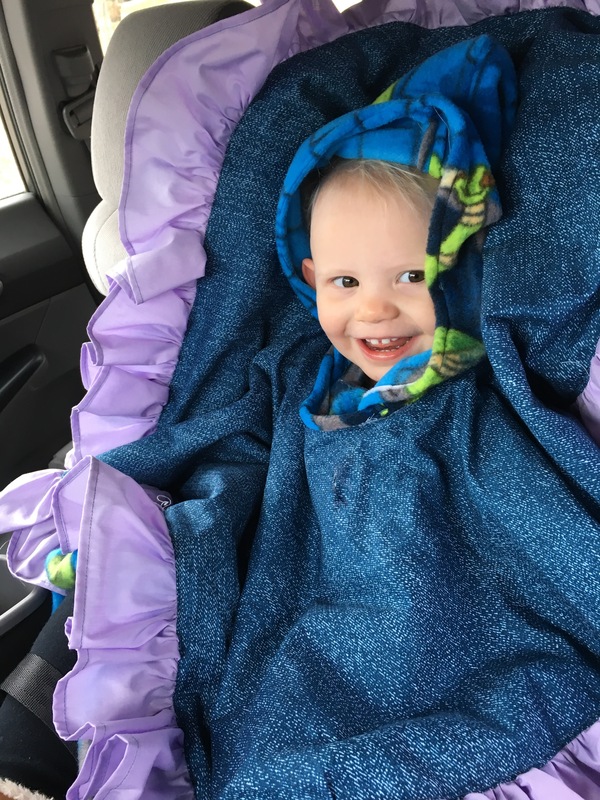 Part warm blanket, part coat, and totally safe for the car seat! Plus, my girl LOVES it!! She keeps putting her arms out and running around flying and karate chopping. HIIII-YA!! !